Paperback, 4.5 x 6.5 in. / 240 pgs / 10 bw. Edited by Daniel Baker, Maria Hlavajova. 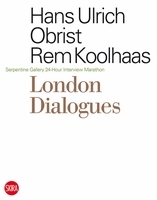 Text by Albert Atkin, Huub van Baar, Zygmunt Bauman, Delaine & Damian James le Bas, Ethel Brooks, Agnes Daróczi, Tony Gatlif & Cécile Kovacshazy, Ian Hancock, Sanja Ivekovic, Timea Junghaus, Irit Rogoff, Regina Römhild & Bonaventure Soh Bejeng Ndikung, Salman Rushdie, Mike Sell. Merging theoretical models derived from anthropology and from contemporary art discourse, We Roma: A Critical Reader in Contemporary Art looks at the Roma (i.e. Romany, or gypsy) lifestyle and examines its resonances with current civic and artistic concerns. 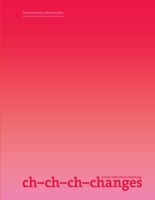 As social and economic injustice extends from the historically marginalized to the “99 percent,” this volume takes ideas from gypsy culture and the pioneering work of anthropologist Alfred Gell to propose alternative modes of existence for the disenfranchised. 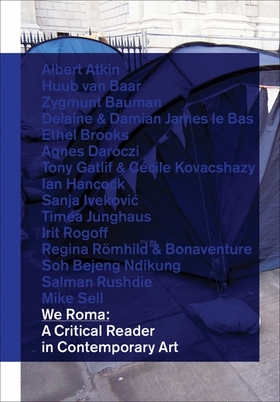 It contains both old and new writing by artists, theorists and activists of both Roma and non-Roma origin: Albert Atkin, Huub van Baar, Zygmunt Bauman, Delaine & Damian James le Bas, Ethel Brooks, Agnes Daróczi, Tony Gatlif & Cécile Kovacshazy, Ian Hancock, Sanja Ivekovic, Timea Junghaus, Irit Rogoff, Regina Römhild & Bonaventure Soh Bejeng Ndikung, Salman Rushdie and Mike Sell. FORMAT: Pbk, 4.5 x 6.5 in. / 240 pgs / 10 b&w.